When exactly are Dark Lances better than Disintegrators? This was being discussed in the raider vs venom thread. It is a more generally interesting issue so I made its own thread for it. I wanted to solve this question analytically. It could be done with my old thread with its complex logic-based thingy or with Lord Splata's calculator, although the same caveat applies to both - they don't do d6s and d3s correctly. 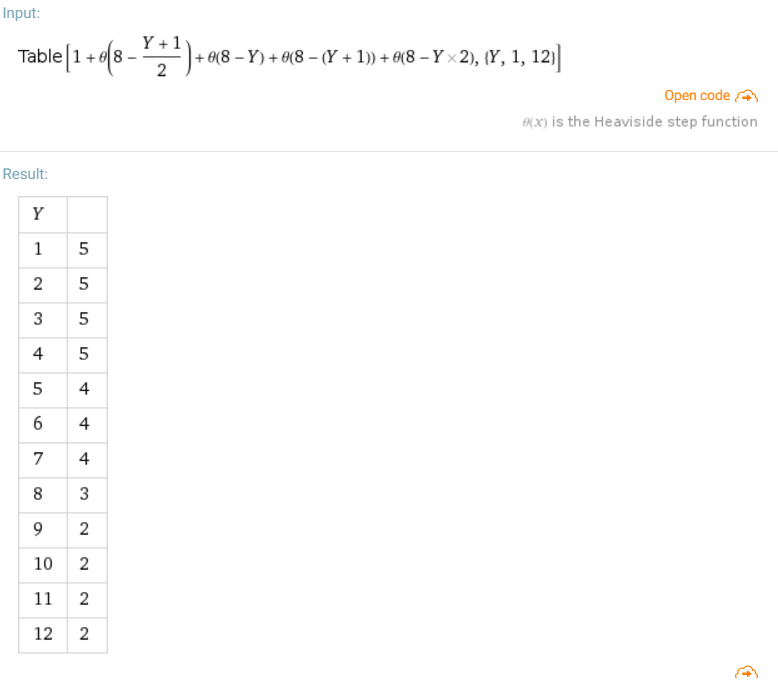 I wanted to develop some new formulas that will give more accurate results using step functions rather than logic. Please bear with me 'cause my math is rusty and I don't get to use it a lot at work these days. If you want the in depth explanation I spoilered it below. You have this many chances out of six to wound. 3. If damage = 2 then damage is min(W, D). If damage = d6 then damage is (1+min(w,2)+min(w,3)+min(w,4)+min(w,5)+min(w,6))/6. It looks like below. 4. The wounds multiplier vs AP is given by min(1-(7-Sv-AP)/6,1) which simplifies to min((SV+AP-1)/6,1) and looks like this for Sv3+ with variable AP. and we can table these for, say Sv3+ and 6 wounds and here is what that would look like. there are no solutions for w = 1 so the assumption was justified. seems like a result that you should check so let's do a table of results. Results 1-2 can be seen to be true comparing tables for w6 and sv3+. Let's check the difference sv2+ for dissie and DL at 4 wounds. 2/3 * (1+UnitStep(16-(Y+1))+UnitStep(8-Y)+UnitStep(8-(Y+1))+UnitStep(8-Y*2))/6 * (1+2+3+4+4+4)/6 * 5/6 - 2/3 *3 * (1+UnitStep(10-(Y+1))+UnitStep(5-Y)+UnitStep(5-(Y+1))+UnitStep(5-Y*2))/6 * 2 * 2/3 and then we do a table for it with Y from 1 to 16. 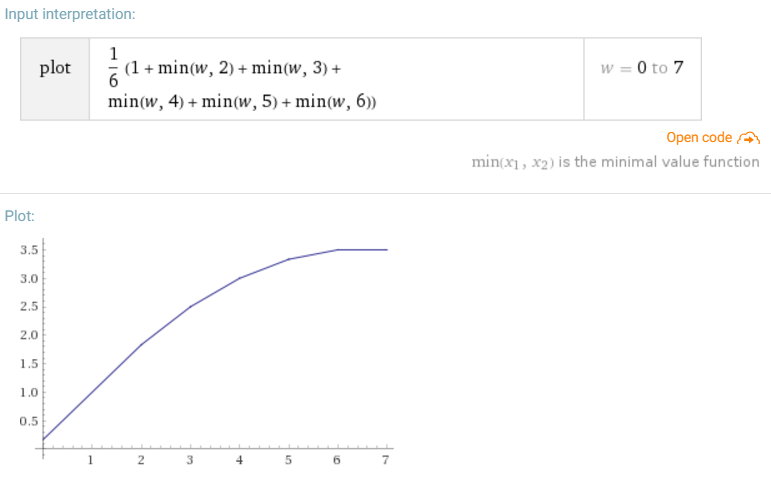 And sure enough this is positive only at Y=6 and Y=7 and Y > 10 to 15. If you're good at math, I would be grateful for your help in checking this! 1. The target has 2+ armor, more than 4 wounds, and a toughness of 6 to 8 or of 10 or more. 2. The target has 2+ armor, exactly 3 or 4 wounds and a toughness of 6 to 7 or of 10 or more. 3. The target has 3+ armor, more than 5 wounds and a toughness of 6 to 8 or of 10 or more. 4. The target has 3+ armor, 4 wounds or more and a toughness of 6 to 7 or of 10 or more. 5. The target has 4+ or higher armor, more than 4 wounds and a toughness of 6 to 7 or of 10 or more. In all other cases Disintegrator cannons are better. Invulnerable saves weren't considered because they affect both in the same way. Edit1: "more than 4 wounds -> 4 wounds or more" on #4 because that's what's implied by the inequality. Also 57/20 < x means x > 2 on tabletop. You cannot simply say that and have it be true. There are so many other factors that you have not even considered. Three Ravagers, all tripple dissies over dark lances. That is 90 points of upgrades that you do not take into account for the rest of the army. That is 6 blasters for your kabalites, that is a venom, that is almost a raider. That is almost 10 khymerae. You cannot and do not factor in the protection a venom gives troops, the manuverability and the firepower in your above analysis. Adding 6 blasters to the "dark lance" side would tilt the scales a bit. Comparing Dark lances and Dissies is more than mathhammer. It is what you have to give up in your list to afford the dissies than cannot be taken into account. And frankly, dissies DO NOT IN ANY WAY add enough to a list to compensate for their higher cost. My tournament list has 20+ dark Lances. yeah, I think I will pass on that for the .0002% difference. I'm pretty sure changing half/a third your DL into dissies would be a very good buy, even considering the points increase. First, it's a tremendous gain in anti-MEQ and anti TEQ power. Secondly, mixing DL and Dissies increases your anti-tank power. Why ? Because D2 is reliable. If you have both dissies and DL, you can alternate so that you always start your targets with DL, and finish them with dissies once they drop to 2/4/6 wounds (if they get to 1/3/5/7 wounds, use missiles to even the numbers). I have found it to be the most reliable way to crack vehicles. That's definitely a good point about the cost. You should have more reasons to take disintegrators than the supposed advantage vs. Sv2+ W4 T8 - that advantage was 1 wound for every 18 disintegrators you took, so probably not worth 180 points. You should probably think about it more that you are not losing in this particular capacity if you take dissies. What was interesting, to me, is that once any tank is down to 4 wounds your dissies are statistically better vs. it than your lances (unless it has 2+ armor and T6-7, then this happens at 3 wounds). Also, they are better vs. T9 regardless of armor. It's a very interesting issue. Great maths. I prefer dissies because they are close enough damagewise to Lances when shooting armour, but they are an absolute miles better at killing everything else. What if you opponent arrives with no vehicles? Lances are pretty terrible then. And what if your opponent arrives with nothing but leeman russes? Your dissies are pretty terrible then. This back and forth can go on forever, i am just stating, that in a competitive environment, Lances are better for greater damage output potential, greater strength, greater AP value and less cost. Shoot some dissies at an Imperial Knight who is shooting back and see how "great" they are. For dissies to be used, they would have to be the same or (preferably) LESS than a dark lance in cost. Not really. They're STILL a pretty decent weapon. Even factoring the points discrepancy in, Dark Lances are good against vehicles and mediocre against everything else. Dissies are still good against vehicles and absolutely phenomenal against MEQ, TEQ, and GEQ. The ONLY area that Dissies aren't the superior choice is medium to heavy vehicles. At this tier, the Lance is a little bit better. At the other end of the spectrum, where the lance is a huge waste of points, the dissie is miles better. The dissie seems like the clear winner in this edition, at least to me. If you've already got a bunch of AP -3 and -4 stuff in your army, and a lot of massed shots (giving you the ability to put some hurt on hordes or elite infantry) and you don't have any anti-vehicle, you might consider using lances instead. But in every other instance, I think the smart money is on the disintegrator. Well, you should try. I've exploded Baneblades, Leman russes and Land Raiders with a force that consists mostly of dissies. I agree. I run 3 units of DL Scourges, 6 Dissie Ravagers and 3 Dissie Razorwings. Never had a problem with getting rid of Vehicles. To be fair the difference can be significant vs. intact T6-7 vehicles at Sv3+. It can reach up to 4 wounds for every 9 cannons in favor of DL vs. Dissie. The difference is less significant for T8 vehicles according to my math corresponding to 1 extra wound for every 18 weapons advantage for DL. Caveat: I was very tired, tried to copypaste the right thing. 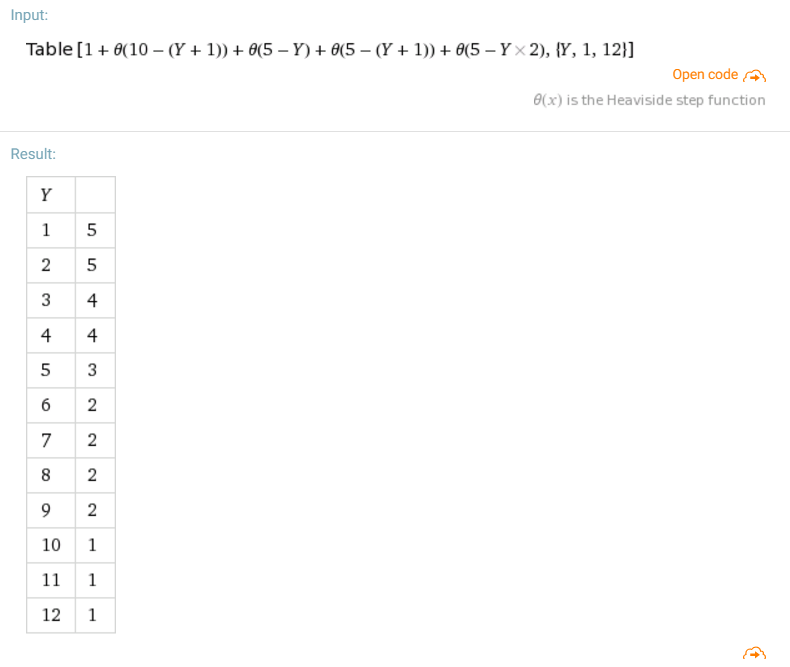 I put the Mathematica string and tables in spoilers. In this use case the DL is superior as is known from earlier threads. This is also its singular best use case vs dissie. You can expect the absolute difference to be less wherever else it has an advantage. I do think there's something to say about the three re-rolls you get and having increased damage hinging on fewer rolls. The offensive power of a unit with many dissies is less affected by the ability to re-roll one of them than an equivalent unit with lances. As the number of attacks increase, of course I would expect it to approach the limit of the math without re-rolls considered. And as you mentioned earlier obviously no benefit to increased damage if your target can't soak it up. This is quite true, the DL benefit from rerolls. The dissies, on the other hand, are less random and will mostly perform the way you expect them to perform. If you run only dissies you don't have good ways to dump your CP. If you run only DL, you don't have enough CP to reroll every single bad dmg roll. I mix them. And i'm happy. Your math was incrediblely insightful. I'm only 1/2 of the way through and I love it. Thank you. So I think we can say some lances are usually smart (unless you expect a lot of people without vehicles with t6- , remember against t6/7 tanks you deal assuming full health 1.4 times more damage with a lance. That means taking 2 lances and 1 dissie is equavalent to 4 dissies against most vehicles. Looking at hellstrom who has 3*4 dl and 6*3+3*2dissies (a total of 26 dl/dissies) I completely agree having them all dark lances is silly. But any time you shoot a dissie at a t6/7 4+ wound vehicle you are just lost 10 points and x% effectiveness. Sure you can compensate for this by having a lot of dissies and still kill them. Also a lot of vehicles are barely dangerous anymore when they have <3 wounds left. Also the above stats also did not take into account that the lance spread is different then the dissies. Yes a dissie does more damage on average to a 3 wound vehicle (assuming no 2+ save) but has only half the chance of killing it outright (0.29 vs 0.148). I'm thinking of adding a 4th Ravager to my fleet (currently 2 x DL, 1 x Dissie) and now I'm utterly confused as to which weapon to equip it with! As dedicated AT, when you need 3/4+ to wound with chances of more damage compare to 5+ to wound for 2D, when you are using your Reroll each phase on the DE b.c you play Harlequins and you need to break tanks as fast as you can. I talked to GW and they have said they are going to deal with Darklances replacing Blasters as infantry/Scourge weapons of choice! Effective next Errata, Darklances will be vehicle exclusive! Isn't that neat?!? Not really, though at this point I doubt anyone would be surprised. I'm not quite through reading this thread yet, which I'm enjoying very much, thanks OP, but I had to comment on this and the OP's comment on not taking into account invulnerable saves. Funnily enough this is the exact time when they REALLY makes a difference! Dissies are better against imperial knights! Try it out on my calculator, the invulnerable save makes the dissies -2 equivalent to the -4 on the lance. Basically against targets with invulnerable saves dissies are always better. Wound shenanigans aside. On a weapon for weapon basis yes, Dissies are better than Dark Lances against Knights (0.89 wounds per firing vs 0.77). When you take into account the points cost, they become worse (0.59 v 0.77). That is actually true. I didn't consider this in OP as it reads but there is this special case: A 5+ invulnerable save makes DL effective AP only 3. In this case, the term 5/6 will be eliminated from both sides of the inequality. Which means you will use the 4+ table to determine whether DL is better. Meaning vs. 3+ 5++ T8 Dissie cannon can be expected to do more wounds. and DL is better only if there are more than 4 wounds AND toughness is 6 or 7, or 10 to 15. The exact amount of how many more can be found with Splata's calculator for large numbers of wounds (it, and my table become exactly accurate at 6 wounds or more) and for small numbers you could run the DL and dissie expressions in this post. The same exception will apply in case of 2+ 4++. Edit: Looks like Adhemar posted the exact difference above. If you ask "would I pay a 1.35% price increase per wound caused, against Imperial Knights, to massively increase my efficiency against a vast number of other targets? ", the answer will probably be "Yes". I'm finding my preferred HQ is a Farseer with Doom lately, and that swings the advantage toward Disintegrators (and Mandrakes become really good). Excluding Doomed targets, usually Dark Lances are better against most vehicles/monsters and Splinter weapons are better against infantry types. Disintegrators are a nice versatile option that is effective against both though. Good catch Count, they still don't have the points advantage, even after you add in the cost of a Ravager, but on a raider they remain the most points efficient choice, as well as the most damaging. If you want points efficient damage you came to the wrong army, son. Go talk to obliterators if you want points efficient damage. That may be - but if possible, I would like to keep this thread to discussing the specific issue of Disintegrators vs Dark Lances, please. Subject: Re: When exactly are Dark Lances better than Disintegrators?